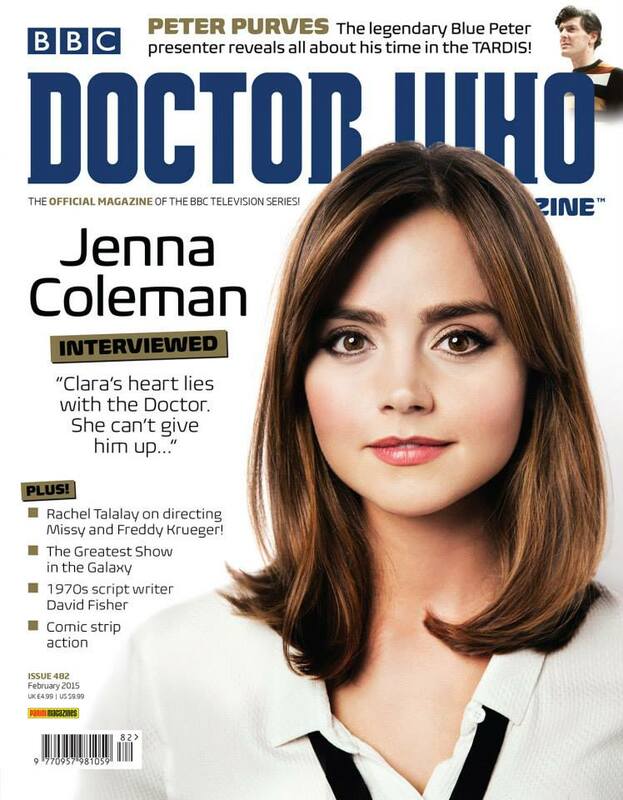 Issue 482 of Doctor Who Magazine is published on Thursday 8 January 2015. Jenna Coleman is being interviewed: Clara’s heart lies with the Doctor. She can’t give him up. Plus: Rachel Talalay on directing Missy and Freddy Krueger, the greatest show in the Galaxy, 1970s script writer David Fisher, comic strip action. Peter Purves: The legendary Blue Peter presenter reveals all about his time in the TARDIS.